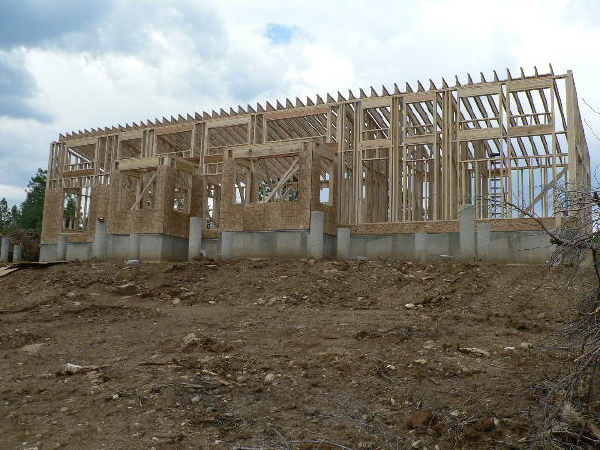 The carpenters always seem to make short work of the framing and the Colorado Plat House is no exception. 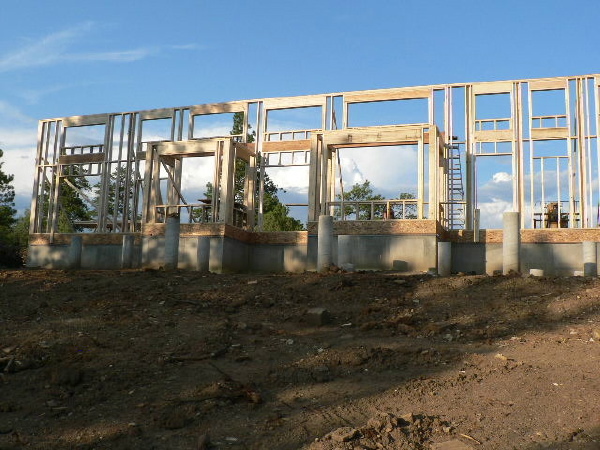 New photos of the construction progress from the owners shows the frame of the house going up quickly. Now that we have watched several Plat Houses framed up we can see that the same sequence is used by different crews. The main back wall is one of the first to go up. It contains most of the posts and beams and is perhaps the hardest part to frame. In this case they built the bay window wall first. As was mentioned in a past entry this Plat House is up in the mountains and the snow load is quite high. The Owners mentioned that they had to make some accommodation for that when they had the plans checked for their location. Now that the framing is going up we can see some of the measures they have taken. We can see that the corners of the bay windows have been made wider. 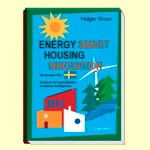 This may have been to strengthen them for load, or to reduce the window area for energy concerns. We can also see that the side overhangs have been greatly reduced. This is to be expected as the stock design has a deep side overhang that would be difficult to cantilever with a high snow loading. These adjustments are necessary and desirable. Not only do they ensure that your house performs as it needs to, but it differentiates your house from the stock design and makes it more your own. Much thanks to our Colorado Owners for sharing their build.